Today the first 6 cast member of Big Brother Canada 3 were released. Zach Oleynik, Brittnee Blair, Bobby Hlad, Sarah Hanlon, Ashleigh Wood and Jordan Parhar. Next batch of 5 will be released on Tuesday with another 5 on Wednesday. On Friday we get to see the house and maybe learn more about all theses twisto twists I’m sure they will be throwing at us. Since every year I’m completely wrong with my first impression assessment. I’ll just say they all have potential to make for some exciting Live Feeds. What do you all think of the first 6? let us know in the comments. Hey everyone i found a backup extension you can use if Hola doesn’t work, if you have Google Chrome you can download the extension called DotVPM and it will also unblock outside U.S. sites along with Global TV, but i would recommend uninstalling Hola before you try it otherwise your proxy server might get all screwed up. Just a tip for all comment me you want more info and i’ll try to comment back. It’s called DotVPN sorry typo. I had to use dotvpn also, I just went in and disabled Hola instead of removing it. – I am hoping they get Hola working with Global by the 23rd. I was NOT allowed to post a link to hidemyass on Facebook, it was blocked. I did a bit of really quick digging and saw some bad reviews about security issues. Just putting that out there. Also i’d like to point out that i think i’m in love with Brittnee, i mean damn she is really stunning. SO FAR I HATE EVERYONE !! Too many times I’m completely off the mark with the new cast. Actually almost 100% of the time I’ve been wrong with my early assessment so I’m going to give it a try with theses first 6.. LOL. I really hope that all 6 of theses players are wicked fun on the feeds. Brittnee – Is going to be the type of houseguest that is either loads of fun or a complete dud. My gut is telling me some good feeds will come from her. Jordan – Has a good chance of being a dud just like all the other players that say they are super genius masterminds. 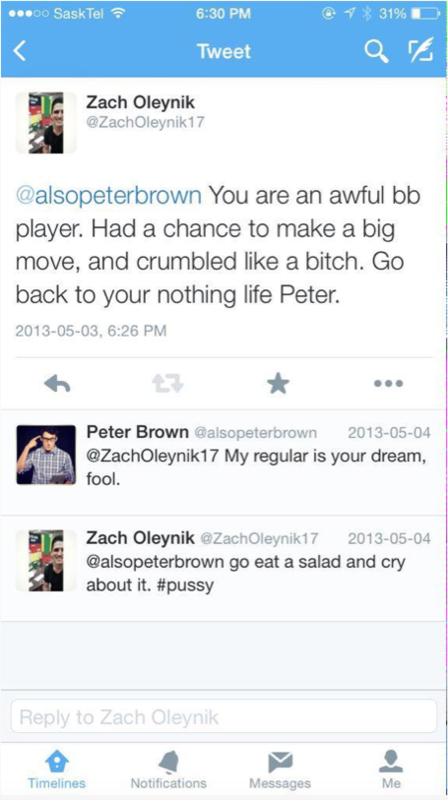 Zach – Might be a douche/dud but reading through his twitter fight with Peter (BBCAN1) sounds like he might have some moxy. Plus he’s the first player from Sask. Sarah – looks likes what happens if Christine and Nicole from BB16 mixed their genetic material together in a petri dish. I’m not sure how much feed fun she will be, though I do Dig her job. I find houseguests that don’t know much about the game give us the more entertaining feeds. They make mistakes which equates to interesting scenarios. Predictability and cautious gamplay kills seasons like it did on BB16. I like Zach the best because anyone that insults Peter Brown is a fan of mine. Sarah reminded me of Christine, but your comparison to a Nicole and Christine hybrid left me in stitches! ???????????? here we go another season about to begin. I wanted to hate on these 6 cause I am tired of the younger crowd. I wanted a house full of 30 year olds (people that have more “experience” with people/life/ have children maybe), but so far some of these seem great.